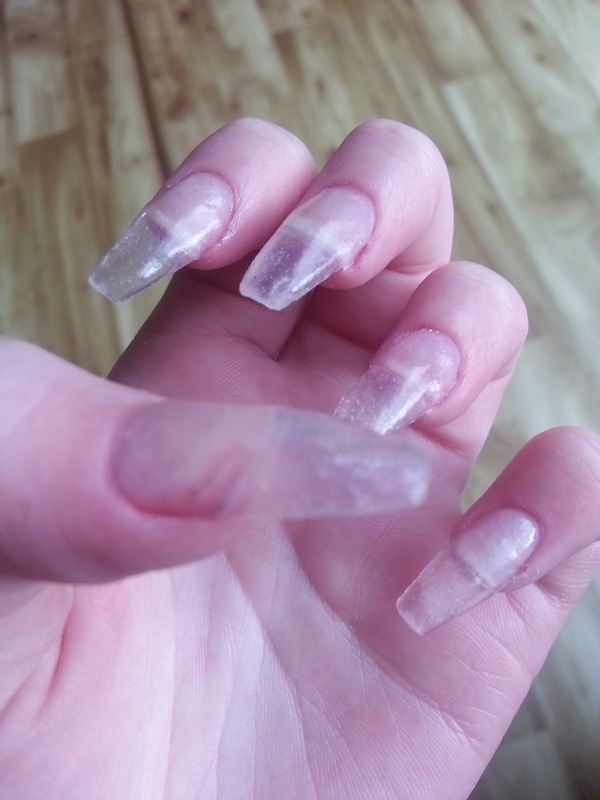 I would love to be able to go out and get a set of acrylic claws every other week but girl Im a college graduate looking for a job so that calls for a DIY.!! I took to YouTube and watched a LOT of tutorials and went straight to Amazon to pick up a starter acrylic set . The first thing I done was prep my cuticles to see the best way to do this look back at my cuticle care post. 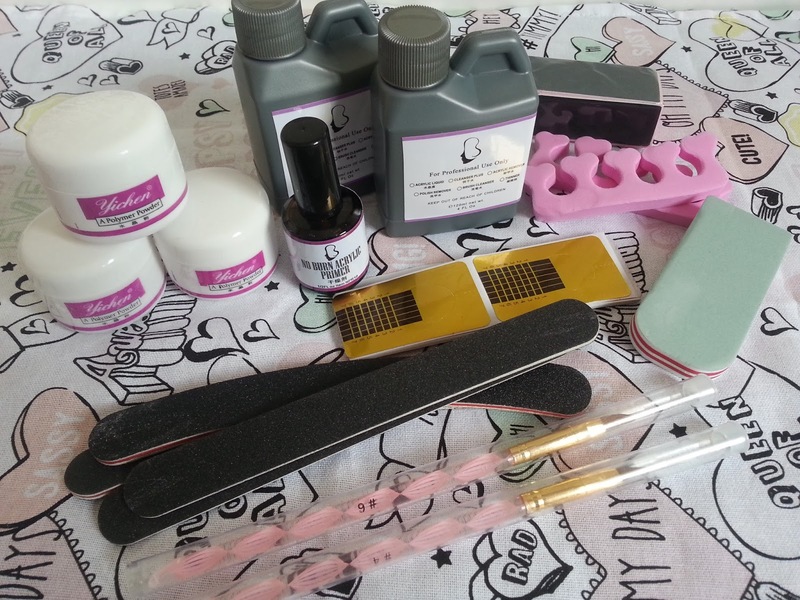 Now we need to prep our nails by buffing them, add our nail tip, shape (I chose the coffin shape) and apply the primer to the natural nail. Here comes the hard part..the acrylic.! 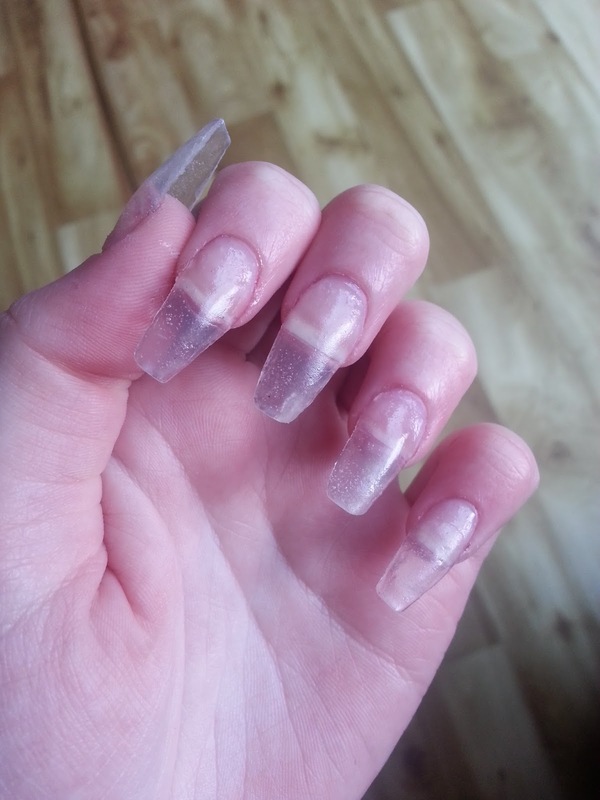 I advise to practice practice practice before you go anywhere near your actual nails.! 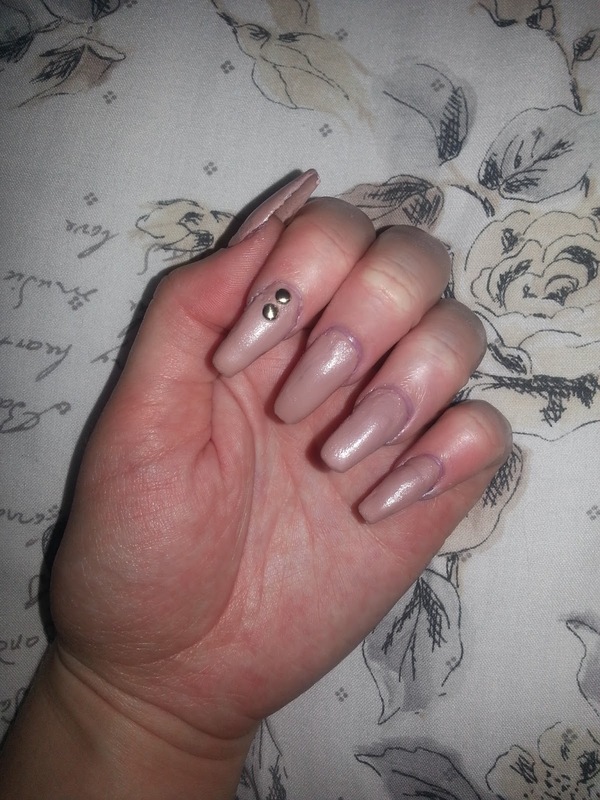 I got out some fake nails I had lying around and started to practice the all important liquid to powder ratio.! This is where you wet your brush with the acrylic liquid (that smells SO strong be warned) and then dip it into your powder to form the wet acrylic bead. 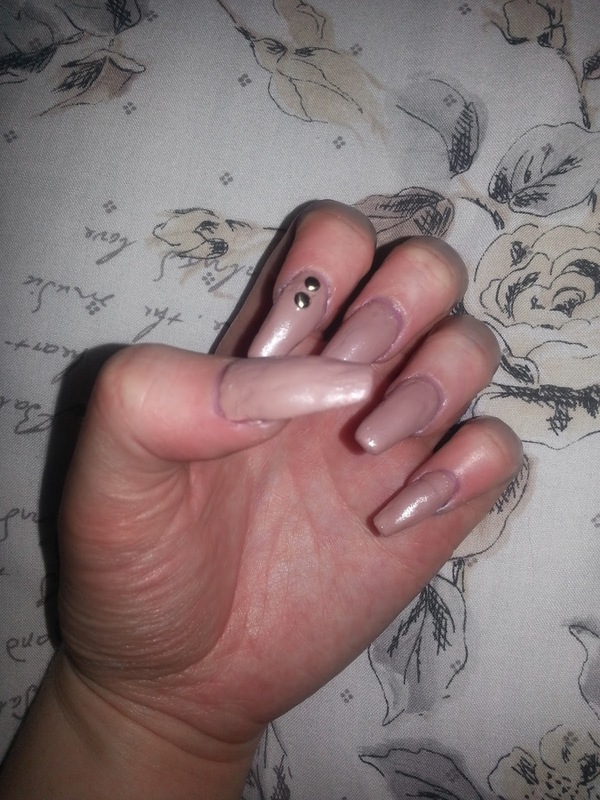 Now we work quick and apply it to the nail and form the shape before it drys. Acrylic is my favorite technique as it cures in the air and theres no need for a light.! 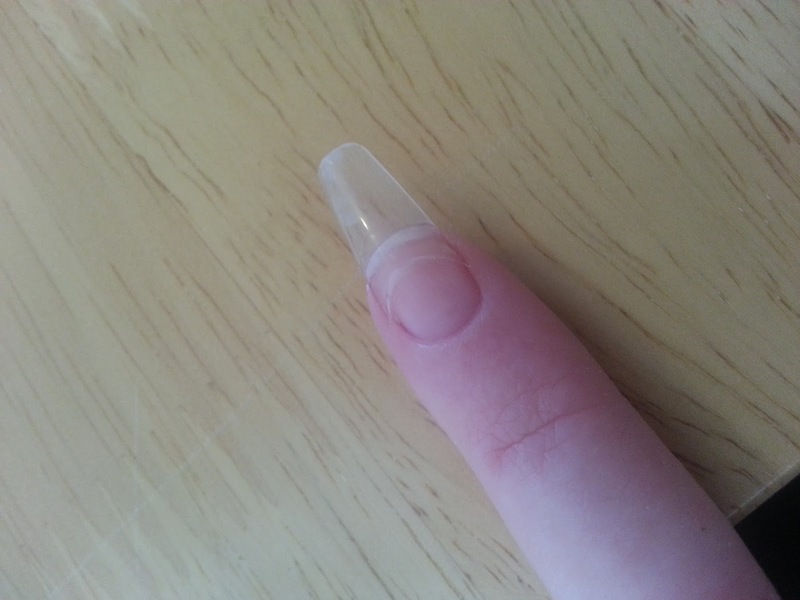 It takes time to build up the nail with acrylic and even more time to do your own nails.!! 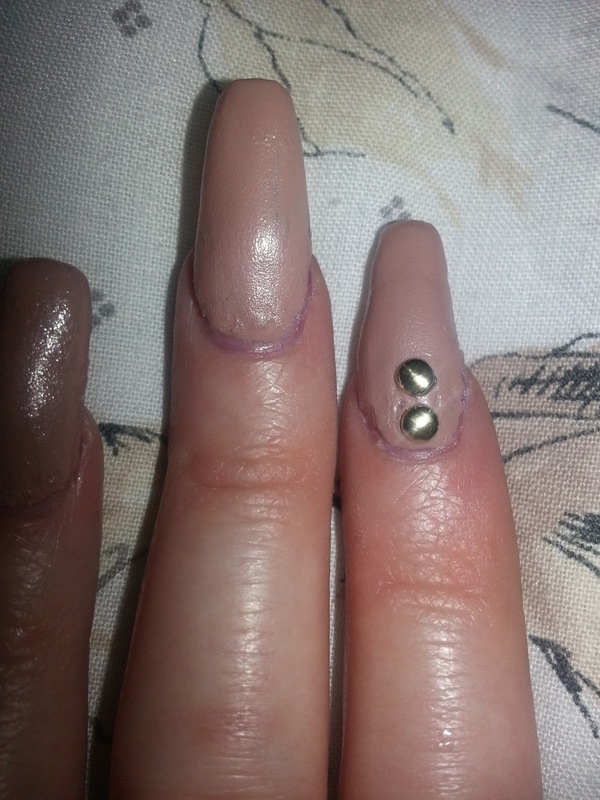 The top tip I learned from watching YouTube tutorials was to add an extra support bead between the natural nail and the fake nail tip to ensure the nail tip doesn't pop off. Like me if you do your own nails your file will be your savior as well all know we'll have one good had and one not so cute! Just file and shave the bumps and bubbles away to blend everything in. Overall I love how my first attempt came out. !